…But 56.7% of workers say that they ALWAYS provide a bespoke cover letter! 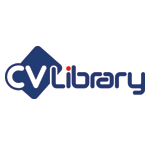 New research from the UK’s leading independent job board, CV-Library , has found that two thirds (66.9%) of candidates between the ages of 18 and 24 find it frustrating that they have to tailor their cover letter for every job that they apply for, with 41.4% believing that cover letters are unnecessary. In addition, the study found that just under one in 10 (8.3%) of under 18s would not apply for a job that required a cover letter, higher than any other working generation. That said the majority of candidates (92.5%) would include a cover letter if it was required, with 29.7% believing that a tailored cover letter is more personal, and a further 29.3% agreeing that it gives relevant examples of your skills. Interestingly, the research also revealed that nearly half (45.8%) of those aged under 18 do not know how to write a cover letter, with one in five (20.8%) stating that they never send a cover letter with a job application. Furthermore, one in 10 candidates aged 25-34 also admitted that they don’t include a cover letter when applying for a new role.